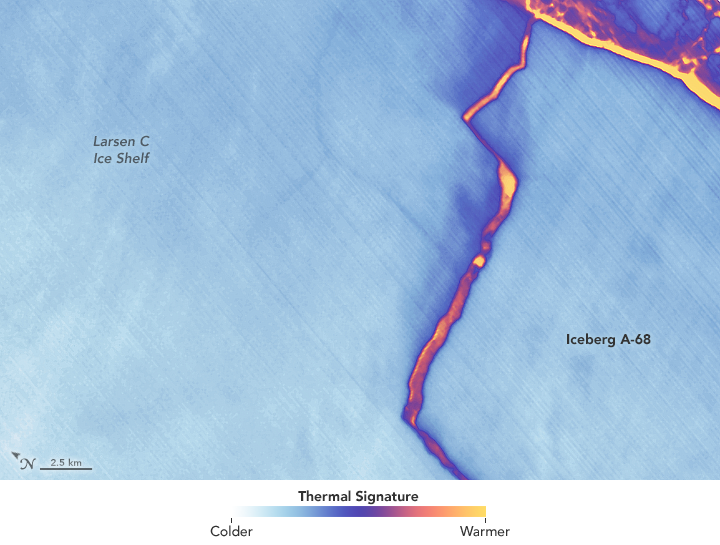 Aug 16, 2017 • NASA Goddard research scientist Chris Shuman spoke recently to National Geographic about the Delaware-sized iceberg that broke away from the Larsen C ice shelf last month. 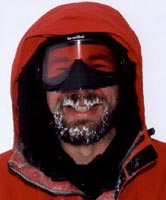 Shuman was one of many scientists on “iceberg watch” as the cracks in the Larsen C ice shelf expanded to eventually create iceberg A-68. In the perpetual darkness of Antarctica’s winter, Shuman relied on the Thermal Infrared Sensor (TIRS) aboard Landsat 8 for night-vision.